Brrr! It's a little chilly out this morning. As you pull those heavy winter coats out of the closet, consider donating your still warm but perhaps too small coats to those in need. You can help keep kids warm. This is the final week of the Share-A-Coat drive brought to you by my Boulder Club. 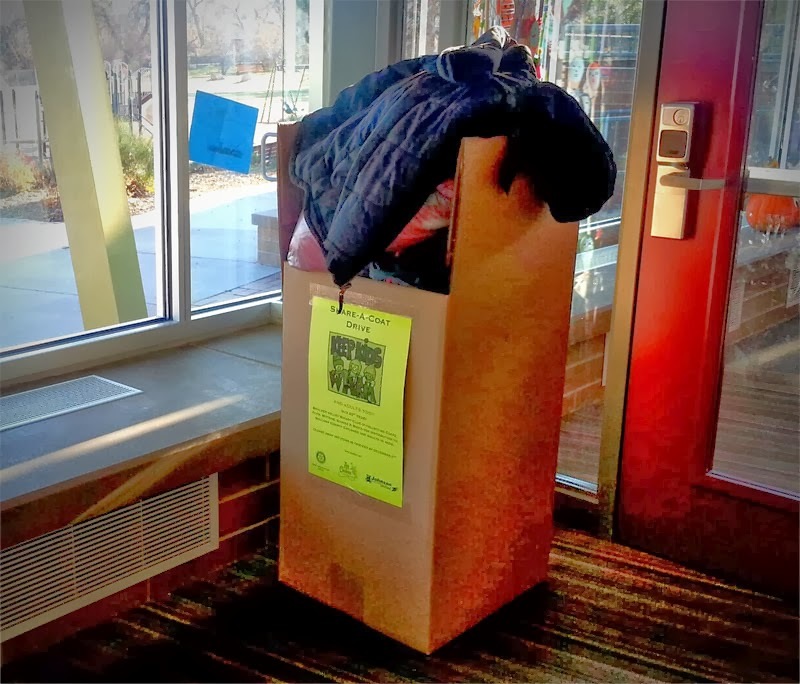 In 2012, over 2,500 coats and many miscellaneous items of clothing were collected and distributed to needy families in Boulder County and to various charitable organizations. 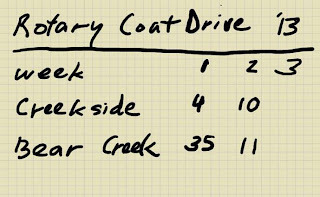 I'm in charge of picking up coats from Bear Creek and Creekside Elementary schools. My final pick up will be this Friday so please get your coats to the schools. There are also many other locations throughout Boulder and Broomfield (link). Final pick ups at these other locations will occur this Thursday and Friday. 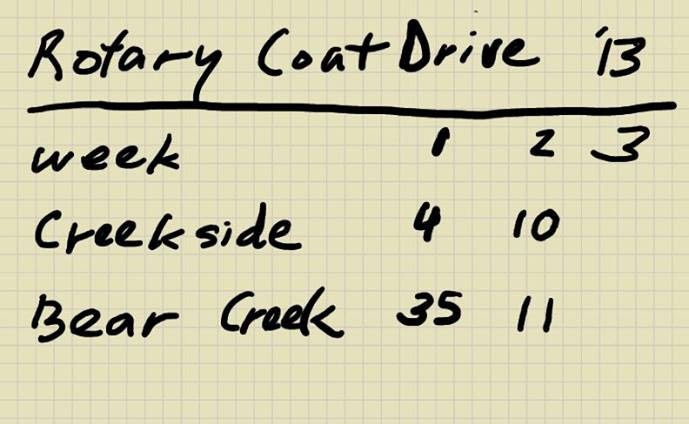 If you can't get your coat to a drop off location, call me and I'll pick them up (ph: 303.746.6896). Speaking of my schools, it appears that Bear Creek is walloping Creekside. THANK YOU FOR YOUR HELP. WITHOUT YOU THIS PROGRAM WOULD NOT BE POSSIBLE.